Local authorities continue to struggle with planning applications stored on microfiche when there’s a better solution which can bring benefits all round. Many local authority planning offices store planning application documents (usually from before the turn of the millennium) on microfiche to save space. Unfortunately, while they do to some extent save space, this method of document storage can also bring a few problems particularly when it comes to accessing the files. When a member of the public requests a viewing of one of the planning files stored on microfiche, it’s not as simple as ‘ask and you will receive’. Sometimes it takes more than a lick of paint to transform your office and it might not even have been a solution you’ve considered but scanning those microfiche to a digital format will enable instant access not only for the employees in your office but also for member of the general public. When you receive a file request, you will no longer have to search through piles and boxes of microfiche, set up the reader and supervise the viewing. With scanned microfiche, all you need to do is search for the file on your system (which with fully indexed files will take mere seconds) and email it. You can also give other people access to the files over a shared network. Microfiche equipment is becoming more obsolete and thus, more expensive so by going digital, you can eliminate the costs of buying and maintaining it. Storing large volumes of microfiche in hard copy will incur storage costs which you won’t get with virtual storage. Time is money as they say so any time wasted searching through microfiche is also wasted money. 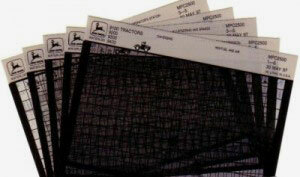 Microfiche are susceptible to loss, theft and damage even in the most secure filing cabinets but when the files are stored digitally, they can be encrypted and password protected to ensure they don’t get into the wrong hands and backups can ensure you still have a copy even if disaster strikes. If you lose the only copy you have of a planning application stored on microfiche then you may find yourself with some major compliance issues which could lead to hefty fines. 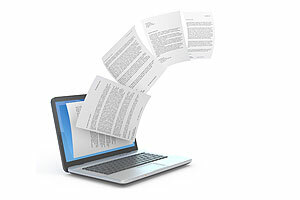 Digital files are now an accepted form of document so as long as you have a digital copy (and one backed up just in case) you no longer need to store the paper documents and worry about compliance and file retention worries. SCAN- Your microfiche should be scanned using a specialist microfiche scanner. This work is often outsourced to a microfiche scanning company like Pearl Scan in order to have the microfiche scanned professionally. INDEX- Your microfiche scanning company will then index the scanned planning applications by relevant fields such as reference number, date, name etc. to aid easy file retrieval. IDENTIFY- Suitable files can then be identified and selected as uploadable and viewable without restrictions. CATEGORISE- The files should be sorted into previously agreed categories such as location or types of plans. REDACTION- Sometimes it is required to remove personal details from the applications for security and confidentiality reasons. UPLOAD- Once these steps have been completed, the files are ready to be uploaded onto your planning portal. All of the above steps can be completed by Pearl Scan with our microfiche scanning service. We use the latest industry standard microfiche scanners to digitise microfiche to a high resolution in a quick turnaround time. We have completed a number of projects for local authorities across the UK, helping them to unlock the benefits of streamlining their processes. Our of services are all fully accredited to ISO quality and security standards making us the go-to company for secure and confidential microfiche scanning. For more information or to claim your FREE no obligation quote, please get in touch and we’ll be happy to help. What Can The Digitisation of X-Rays Do For The NHS?